In a packed auditorium, Paul and Peter H. Reynolds inspired roughly 200 third-graders from Brockton’s Huntington School to make their mark during Bridgewater State University Universal Children’s Day celebration on Nov. 18, 2016. 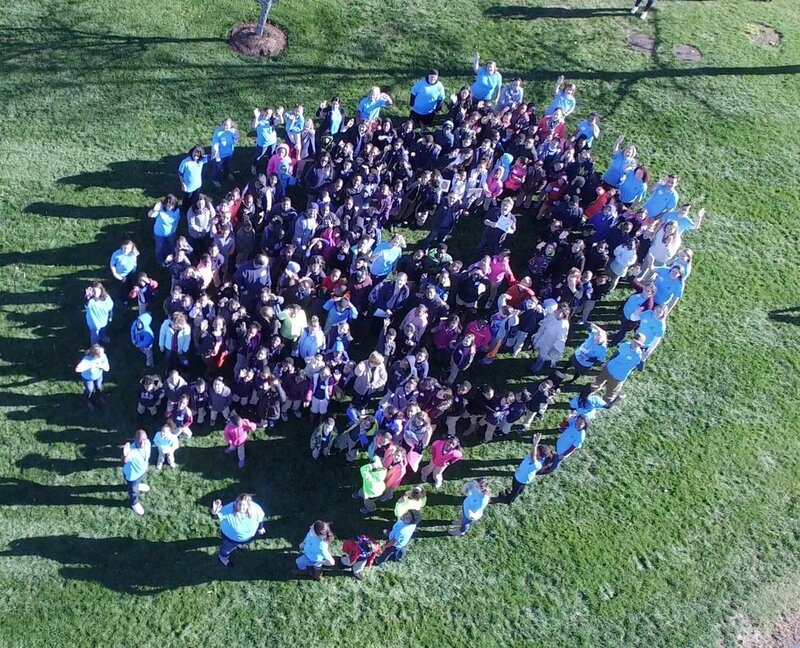 Following Peter and Paul's presentation and reading of "The Dot," the FableVision Learning crew joined students on the lawn to create a giant dot. To round out the creative celebration, the team stuck a pose for the Universal Children's Day mannequin challenge. FableVision Learning's Vice President, Andrea Calvin, also joined the college's Universal Children’s Day celebration for a hands-on storytelling workshop featuring Get Published! Learn more about Universal Children’s Day here.